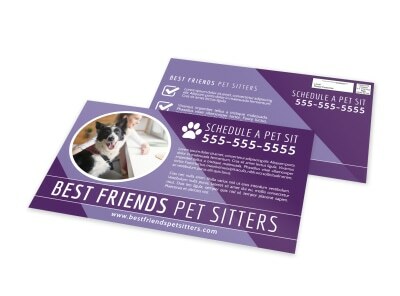 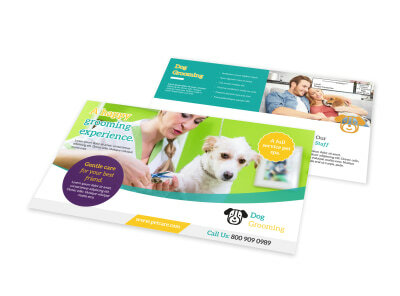 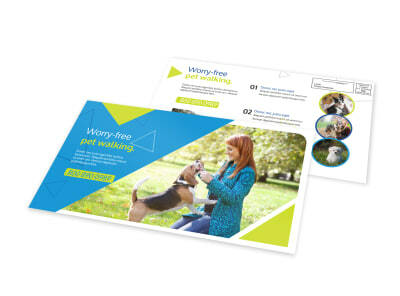 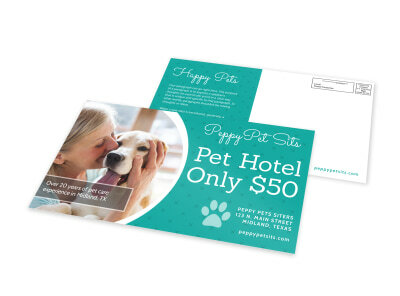 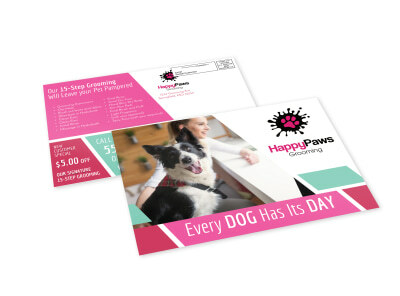 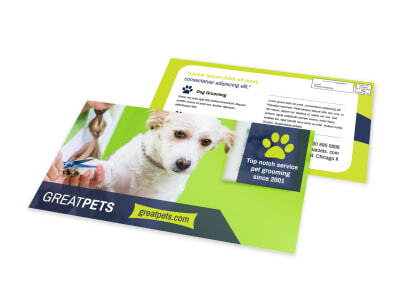 Whether you're promoting your pet rescue, grooming business, or kennel, pets & animals EDDM postcard templates make it easy to customize your marketing campaign. 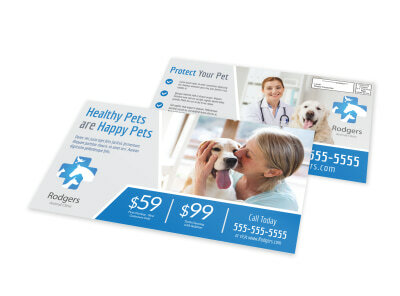 Upload photos, add custom text, and use other elements to drive home your message, detail a special promotion, or send a call for volunteers. 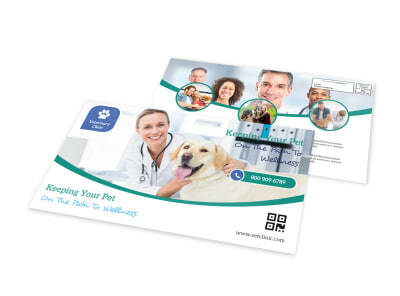 Print your EDDM-ready postcards from where you are, or let us handle the printing using CYMK printing processes and quality materials. 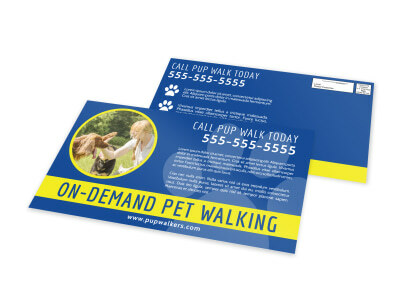 Create a four-paws-up design now. 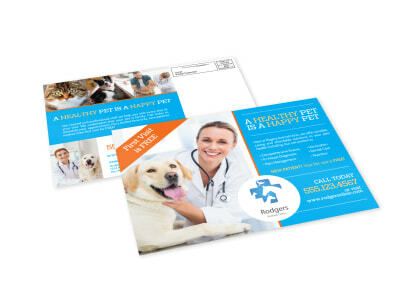 Pets are like family, and an EDDM postcard marketing campaign for your veterinary service is just the thing to let the locals know who to reach out to when it’s time for puppy shots and kitty checkups. 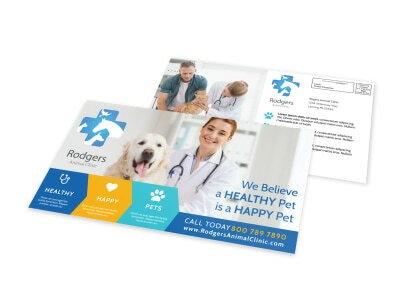 Announce your grand opening with a postcard campaign touting your expertise and the services you offer, or advertise a special on vaccinations with a targeted EDDM marketing blast. 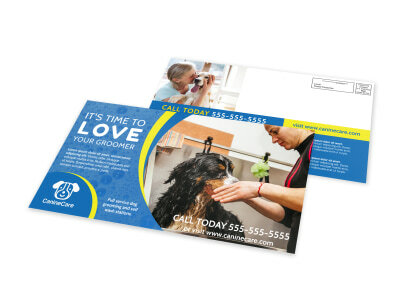 Send out postcards to announce a new product line you’re selling to keep fleas and ticks at bay, or let pet parents know about your on-site grooming or boarding services with postcards running down the 411. 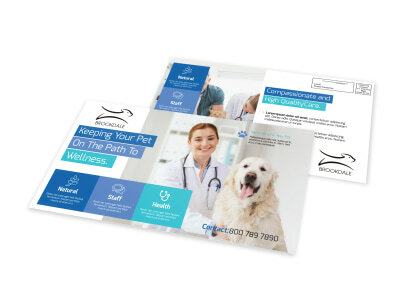 Design your vet EDDM postcards now!